Euphoria and superlatives flowed freely recently as hundreds of Nigerians thronged the Amuwo Odofin area of Lagos state to witness the formal opening of Festival Mall, a sprawling shopping complex in Festac Town, Lagos, owned by UACN Property Development Company Plc, Africa Capital Alliance and UPDC Real Estate Investment Trust. Indicative of the growing pace of Nigeria’s retail space, hitherto dominated by large traditional markets, the new mall, sitting on 8.7 hectares, symbolizes an evolving transformative trend in the country due to the multiplier effect on the economy. Among others, it will boost job creation; improve the retail goods supply chain, and engender reduction in crime and poverty rates through employment and empowerment, while bringing development closer to local communities. This optimism was succinctly captured by Mr. Akinwumi Ambode, governor of Lagos State, when he noted that private sector investment would be crucial in attaining substantial increases in productivity levels, wealth creation and socio-economic wellbeing. With Shoprite and Silverbird Cinemas as anchor tenants, the facility was developed with a $9 million bridge facility part-funding from Stanbic IBTC Bank to commence the development phase. The bank subsequently refinanced this amount with the provision of a seven-year $25 million medium term loan facility, representing 50 percent of the total project cost. In addition, the lender provided additional support via transactional banking and hedging product to further enhance the project feasibility. Speaking during the opening ceremony, then Deputy Managing Director now Chief Executive, Stanbic IBTC Bank, Dr Demola Sogunle, expressed the bank’s delight to be involved in the landmark project, which he described as a continuation of the Standard Bank Group’s tradition of funding crucial developmental projects in Nigeria and across Africa. “We are committed to supporting infrastructure development of all types, including real estate. We are delighted to be a part of this landmark transaction that would significantly boost the retail offering in Lagos, and in so doing, drive growth in the interlinked sectors such as agriculture, logistics, finance, entertainment and technology, among others, thereby creating job opportunities and an outlet for the growth of local enterprise within the country,” Sogunle stated. He said despite the difficult operating environment, debt funding was secured for the project, adding that the bank provided additional support via transactional banking and hedging products to further enhance project feasibility. The transaction structure, which allows quarterly rental payments and a bullet repayment at maturity, has helped in easing the cash burden on tenants, supporting new businesses that may otherwise struggle with lump sum upfront rental payments. Under construction in almost every major city in the country is a mall. Conspicuous is a steady transition from pavement shopping and the corner stores in urban neighbourhoods and large unorganized trading clusters, to large, organized supermarkets that offer numerous options to shoppers. Besides plain shopping, malls come with some glamour, offer a good place to eat and hang out with family and friends, while forming an impression of community with the movement of different groups of people around the vicinity. The steady emergence of malls as economic centers has been instrumental to the exponential growth in Nigeria’s electronic payment system via the deployment of POS terminals at the malls. This has in turn boosted the cashless policy in Nigeria as an increasing number of Nigerians use their cards to make transactions. The rise of Nigeria’s middle class, emboldened by increasing economic opportunities, has triggered considerable consumer spending that is driving the need for shopping malls where world-class products and services will be available, all under one roof. Shoprite, Africa’s largest retailer, is currently expanding its presence in Nigeria with over 700 outlets in mind. Shoprite’s Chief Executive, Whitey Basson, stated in an interview with Reuters that, “Nigeria can support the same number of supermarkets as South Africa,” considering the sustainability of steadily growing the nation’s population of upwardly mobile individuals. In the mix is Spar, the world’s largest food retailer, with about 20,000 stores in 35 countries, which has also opened nine stores in Lagos, Abuja and Port Harcourt. Not left out is U.S. retailer Wal-Mart, which bought majority stake in South African retailer Massmart, citing growth prospects in Africa, with Nigeria as key target. From the local scene are Addide, Goodies, Justrite, and Park ‘n’ Shop, which are rapidly expanding retail footprints in medium income neighbourhoods across the country. Until now, Dubai, South Africa, and UK had become preferred travel destinations for Nigerians seeking a good bargain, convenience and pleasure. In 2014, Nigerian shoppers were the fourth-biggest contributor to overseas tax-free shopping in the UK, according to Global Blue, a tourism services provider, just behind China, Russia and the Middle East. Suits, formal wear, jewellery, cosmetics and children’s wear topped the list on the West Africans’ shopping priorities. The scramble abroad has a number of underlining anchors. Apart from the competitive prices, these destinations offer an irresistible attraction in shopping, a well-documented indulgent among Nigerians which some social commentators have labeled a growing religion with the mall as its cathedral. The bulk of its adherents, they say, are women haggling for clothing, perfumes, cosmetics, shoes, exotic accessories and other products. In those shores they are availed the benefits of first-world shopping environment with shopping malls and centers providing a seductive mixture of glamour and comfort, as well as a variety of quality goods and services. The preference for expensive foreign trips may appear wasteful, but the local environment essentially underpins this indulgence, until recently. Among others, an unwillingness by investors, upended by the recent global economic turbulence, has stagnated investment in property development in Nigeria, resulting in a fewer number of malls being opened. However, an overview of the role of shopping malls in commerce will help underscore their importance in the development of an economy. The International Council of Shopping Centers (ICSC) defines the shopping mall as ‘a group of retail and other commercial establishments that is planned, developed, owned and managed as a single property, with on-site parking provided. The center’s size and orientation are generally determined by the market characteristics of the trade area served by the center. 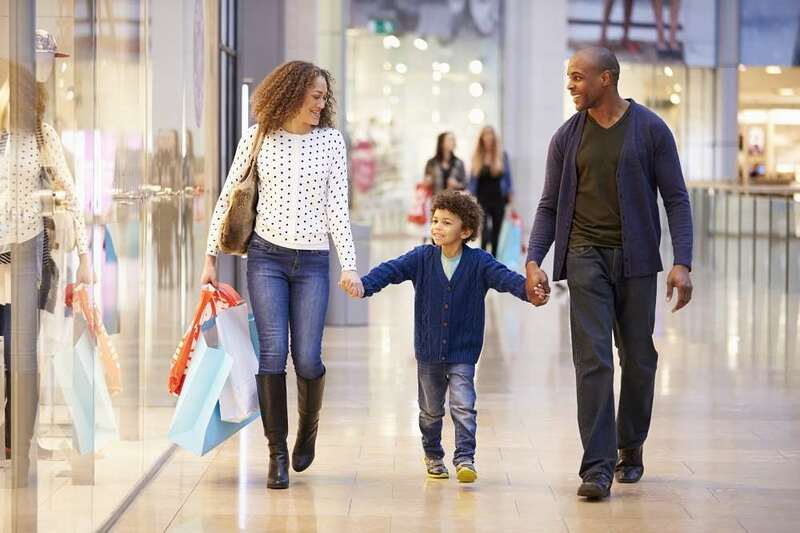 The three main physical configurations of shopping centers are malls, open-air centers, and hybrid centers.” Another definition describes the shopping mall as a building or group of buildings containing stores, which are connected by walkways so that consumers can easily walk between the stores. Such malls can be built in an enclosed or open-air format. In essence, shopping malls may be likened to factories where special facilities have been established for the purpose of commerce through the provision of a wide variety of goods and services. A well-appointed shopping mall plays host to a variety of tenants featuring well known international and national retail brands providing goods and services required by all segments of society. The Palms in Lagos, for instance, is home to several foreign brands such as Shoprite, Game and Nando’s. Definitely, with the contemporary urban feel that comes with picturesque architectural designs, the transparent façade that invites interest during daytime and glowing beacons at night, these malls will ultimately become commercial hubs for millions of visitors from across the country. Nigerians will ultimately enjoy quality shopping experience resulting from the convenience of having so many stores and services in one location. In facilitating the transaction between consumer demands and industrial production, the shopping mall comes across as a cornerstone of the modern service economy.